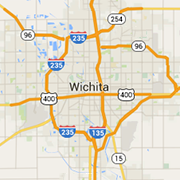 Performing Arts, music, dance, acting and other live performances in Wichita. The Orpheum Theatre features world class entertainment as Wichita's center for concerts, films, and more. The authentically restored 1922 theater is going strong! We are an all volunteer non-profit community theatre organization located in Wichita, Kansas dedicated to enriching the community through the art of live theatre.